Are meant to be unturned. 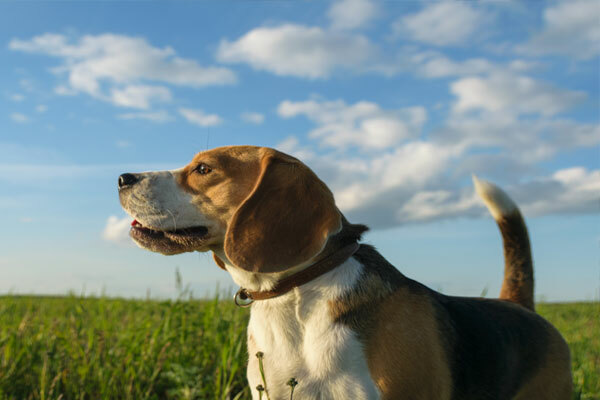 Countryside Veterinary Hospital addresses a wide range of orthopedic problems. Issues can vary from emergency fractures to developmental abnormalities to ligament tears or other injuries that lead to chronic arthritis. We offer consultation on any orthopedic condition and evaluate the need for surgical intervention. We routinely receive referrals from other veterinary practices, since this is a special interest of Dr. Tavis White. If your pet shows any inability to use a limb properly, tackle the problem immediately by contacting us for an appointment and evaluation. Knee surgery is one of the more common orthopedic surgeries performed on dogs. Nearly one million dogs have knee surgery each year. 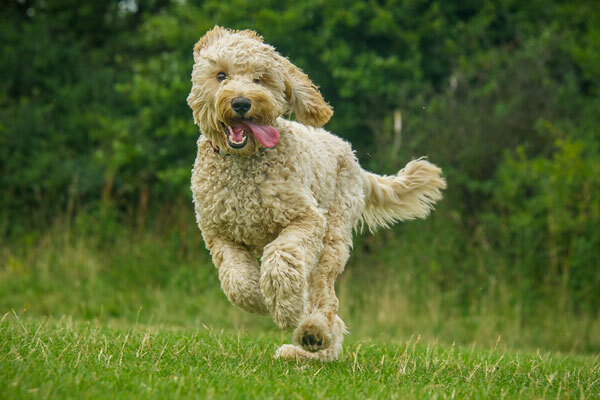 Cranial cruciate ligament (CCL) in dogs is equivalent to the ACL ligament in humans, and just like in humans, tears in this ligament are common and surgical repair is the best approach. Injuries to the ACL are seen most often in large breed dogs. One of the latest innovations for treatment is Tibial Tuberosity Advancement (TTA). This surgery is a special interest of Dr. Tavis White. TTA is the newest, most advanced surgery for CCL tears. Dr. White has been performing this surgery at Countryside Veterinary Hospital since 2009, and he averages 1-2 of these procedures a week. TTA is a less invasive, extremely effective repair that is suited for any dog with a partial or complete cranial cruciate tear. This method uses titanium plates, screws, and support cages, which are highly compatible with the body. This reconstructive surgery is designed to eliminate the forces placed on the knee that tore the ligament initially and eliminate the instability of the joint that causes pain. Rather than replacing the ruptured ligament, as older techniques do, this surgery changes the geometry and forces in the knee joint, allowing it to function pain-free without a cranial cruciate ligament. The typical recovery involves initial rest and confinement, with a slow increase in activity. Most patients are back to full activity at 3 months. The next frontier in orthopedic surgery is pet stem cell therapy. This is an emerging interest at Countryside Veterinary Hospital and has successful application with orthopedic conditions. Stem cell therapy uses stem cells harvested from fat tissue and modified in a lab to regenerate damaged tissue. Chiropractic care is helpful to dogs and cats recovering from surgery, those that have suffered an injury, or perhaps aging dogs that are dealing with joint degeneration or the chronic pain of arthritis. Pet chiropractic care treats pain and helps to restore healthy function. 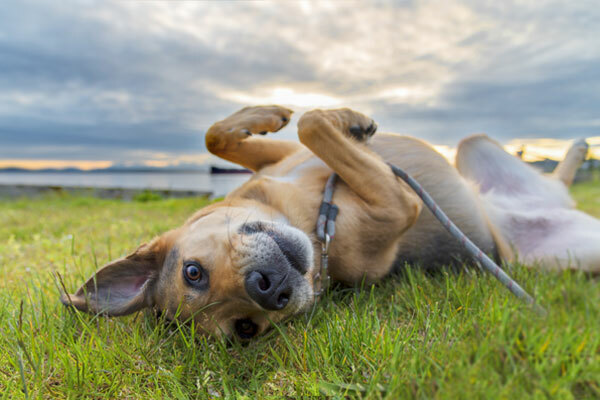 Chiropractic treatments have been known to improve the quality of life for pets, as well as reducing the need for pain medications that have possible side effects. Pet chiropractic treatments are based on spinal manipulation. It uses the body’s own healing abilities and the relationship between the spine and the nervous system to restore and maintain good health. At Countryside Veterinary Hospital, we use a variety of diagnostic techniques and procedures to treat sick pets. 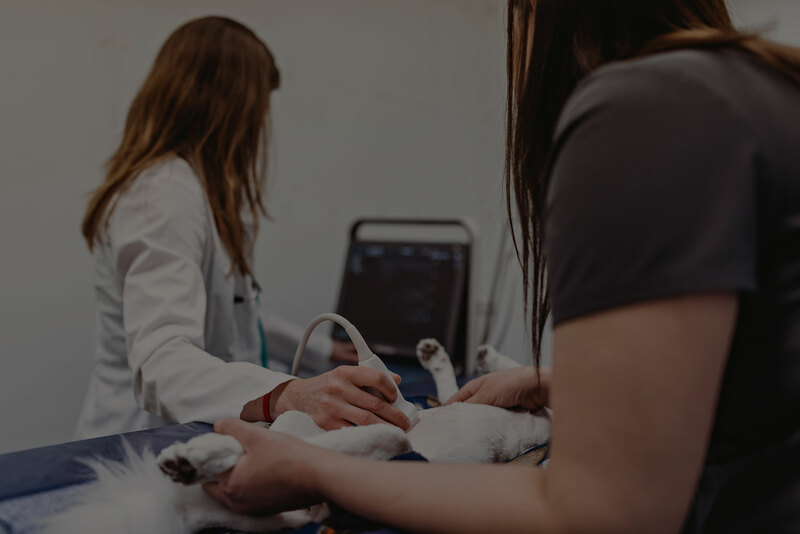 In combination with our in-house veterinary laboratory and diagnostic skills, we employ digital X-rays and ultrasound to see the inside of your pets bodies. These diagnostics are available typically in same day appointments or drop-offs and allow rapid diagnosis for rapid treatment. Digital X-rays provide clearer images over film X-rays. The images produced can be enlarged and manipulated, providing detailed information. Our veterinary team can view the images in ways that are not possible with film X-ray. Greater information leads to faster diagnosis and more immediate treatment—speeding relief to your pet. Digital X-rays are also quicker, which mean less time on the table and less stress for your pet, and they utilizer a smaller amount of radiation than older units. 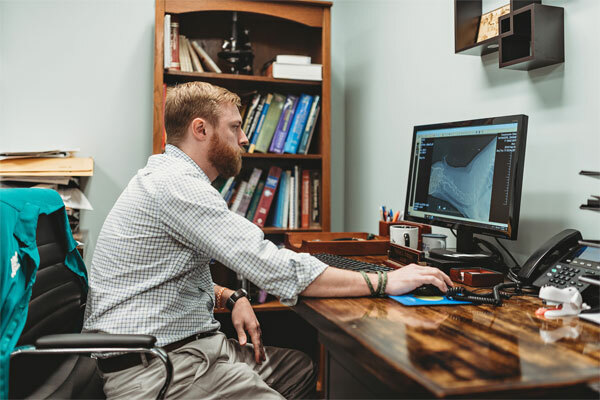 An added benefit of digital x-rays is the ease of sharing them, they can be emailed and sent electronically, if second opinions or referrals are in order, and they can be burned onto a cd. Ultrasounds allow us to look inside the abdomen or chest of an animal. Ultrasound scans project visual images of the body’s “real-time” operation. We can view blood flow, heartbeats, and gastrointestinal movement. They allow us to look within organs to evaluate size, shape, texture, and evaluate for abnormalities. Ultrasounds are used to investigate a variety of different health conditions, including cardiac function. Ultrasound can be used to examine the liver, gall bladder, spleen, kidneys, bladder, prostate, adrenal glands, stomach, intestines, and, in some instances, the uterus and ovaries. This means it can help us to pinpoint the cause of common pet health issues such as vomiting, elevated kidney or liver values on blood tests, abnormal urination, unexplained weight loss, and much more. It is also highly valuable in emergency evaluations, looking for fluid, bleeding, or damage. Countryside Veterinary Hospital performs ultrasound guided diagnostic aspirates and biopsies, something not commonly offered. Our ultrasound uses a color doppler, which shows blood flow and is very useful in diagnosing heart conditions. While having the latest ultrasound equipment and technology is important, it’s equally important to have the skills to interpret the results. 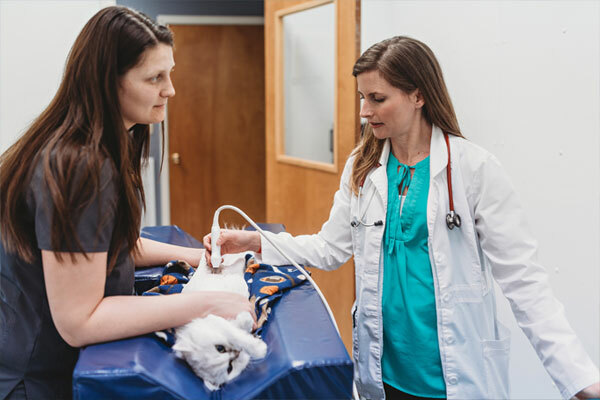 Dr. Conley has attended specific training for abdominal and cardiac ultrasound at both NAVC Institute in Orlando, Florida, as well as Universal Imagining in New York. Unfortunately many of these conditions can look similar. 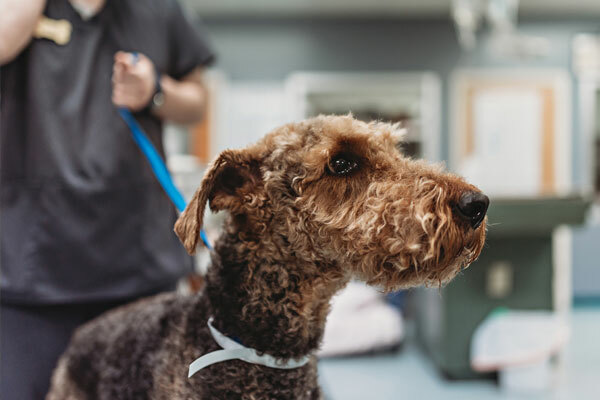 Our veterinarians are very focused on your pets skin, and with a combination of a thorough exam and more in depth diagnostics such as skin scrapings, cytology, bacterial culture, allergy testing, and biopsies, we can get to the bottom of what is itchy or bothering your pet. It’s been said that the eyes are windows to the soul, and they can tell us so much about your pet’s health. 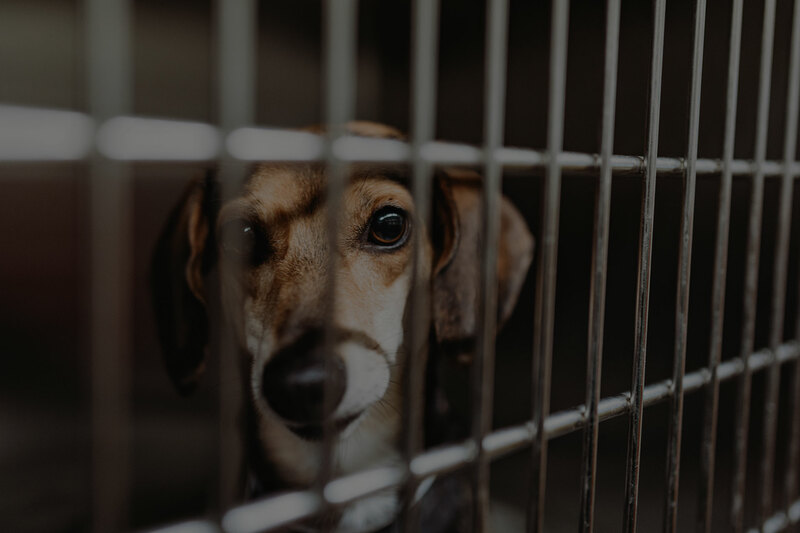 Our veterinarians utilize physical exam, evaluation of the inside of the eye using an ophthalmoscope, corneal stain testing, tear production testing, and Tonometry to measure the pressure within the eye to evaluate the health of your pet’s eyes. We also can conduct vision screening. Our veterinarians can also perform many surgical procedures for the eyes, including eyelid growth removal, permanent removal of hairs growing the wrong way out of the eyelid, correction of eyelids that roll in or skin folds that scrape the eye, “Cherry Eye” surgeries, and some emergency corneal procedures for ulcers or lacerations. We can also help with referral to an ophthalmologist for cataract surgery. Our pets really capture our hearts, but what about their hearts? Heart problems are best managed when diagnosed and treated early. Our veterinarians listen closely at every exam to screen for any murmurs, abnormal rhythms, or abnormal respiratory sounds. If detected, further diagnostics such as bloodwork, blood pressure readings, ECG, chest x-rays, and/or heart ultrasound (Echocardiography) may be recommended to fully understand the nature of your pet’s heart problem and what needs to be done to give them the best heart function so they can live a happy full life. Using our ultrasound we can also perform some emergency procedures such as drawing fluid off the chest or from around the heart.